Injuries can happen at anytime - At Napolin Law Firm, we are dedicated to providing the best legal representation for personal injury victims in southern California. With our years of experience, intricate knowledge of California state personal injury laws and dedication to getting our clients the maximum settlement possible in every claim, you can rest easy knowing you have the right team on your side. Everyone knows that accidents can happen when you least expect them and each day in southern California many of these accidents result in injuries due to a third party's negligence. Luckily, thanks to personal injury laws, you have the right to seek damages for the injury that resulted from an accident when another person is responsible for the harm. If you or a loved one have been injured in an accident, it is in your best interest to visit Napolin Law Firm online today to get a free initial consultation and begin work on your claim! 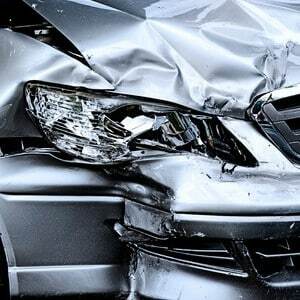 Auto Accidents - When most people think of a personal injury claim car accidents come to mind. If you or someone you know was injured in an auto accident, it is in your best interest to act quickly and hire a personal injury lawyer to represent your claim. No matter how small your injuries may seem, remember that medical issues can develop and worsen over time, so it pays to be proactive. Animal Attacks - These types of accidents are very common in both rural and urban settings and can leave victims dealing with severe injuries. 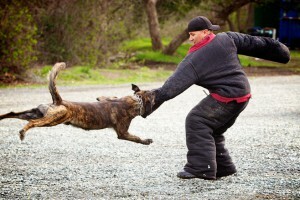 Whether you were bitten by a neighbor dog or were thrown from a horse on someone else's property, if you were injured in an animal attack you have the right to pursue an personal injury claim. Workers' Compensation - If you were injured in an accident that occurred on the job, you are entitled to damages under California workers' compensation laws. Act quickly to secure legal representation and meet tight deadlines to make sure you get the settlement you deserve. What Types of Injuries are Protected Under Personal Injury Laws? In an accident, an injury can come from many different sources and can differ in severity but one thing is for certain, when your injuries were caused —either directly or indirectly— by a negligent third party, you are entitled to seek damages. For those who have been injured in an accident, remember that it is very important to seek immediate medical attention whenever possible. Even if you don't see major signs of an injury immediately following an accident, it is still a good idea to see a doctor, as injuries can develop over time. Auto Accidents - From the more common injuries like sprains and lacerations to the severe like life changing spinal injuries, if you or a loved one was injured in an auto accident due to a third party's negligence, you have the right to file a personal injury claim. Brain Accident Injury - This type of injury can also vary in degrees of severity and may be the result of a workplace accident, auto accident, a slip and fall or any number of other common accidents. Neck Accident Injury - This type of injury is very common and can result from car accidents, bicycle accidents, assault, pedestrian accidents and more. If you or a loved one have been injured in an accident in southern California, be sure to visit Napolin Law Firm online today to get a free initial consultation and start working on your claim! If you, a family member or friend have any injury related legal issues please contact our law offices. Call Now: (909) 325-6032.